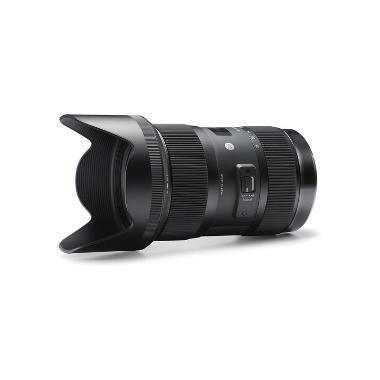 The Sigma 18-35mm f/1.8 DC HSM Art Lens for Canon sports a fast, bright f/1.8 aperture across the entire focal range of the lens, making this a great event lens – especially in low light. It has fast, precise, and quiet focusing capabilities that are well-suited to video recording and features a Thermally Stable Composite building material that helps keep it lightweight while being able to withstand fluctuations in environmental temperature. The focal range of this lens is great for street photography, events, landscapes, and night sky photography. This lens is part of Sigma's Art series of premium lenses.